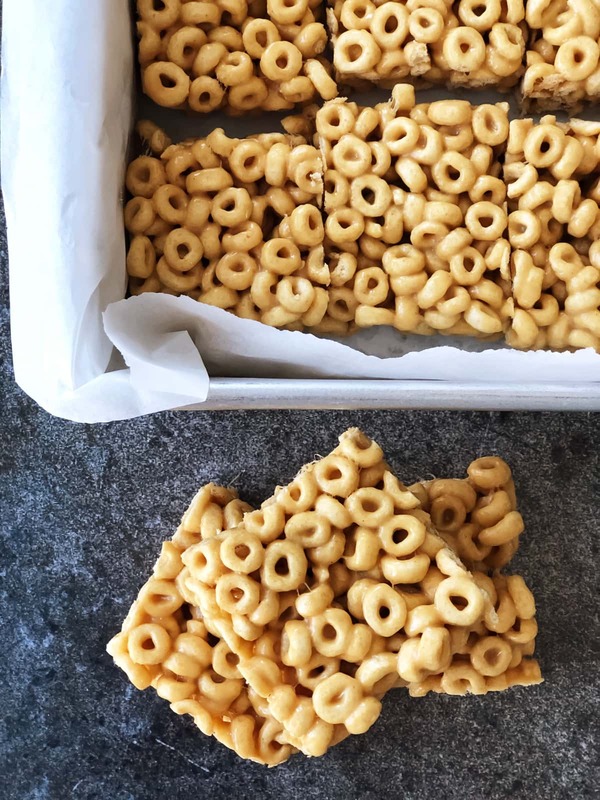 These No-Bake Peanut Butter Cheerio Squares are a classic and simple treat. 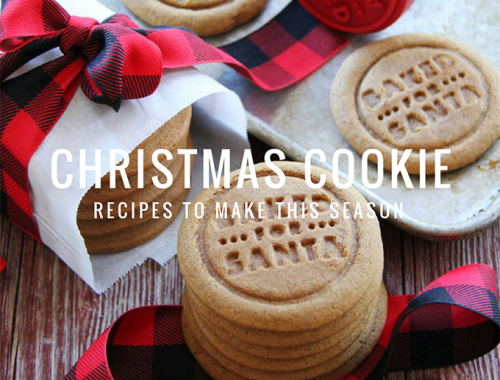 Make and have them ready to enjoy in 30 minutes! 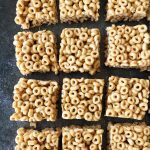 When I had the recipe card for these Peanut Butter Cheerio Squares sitting out on the kitchen counter, my daughter said, “Oh I love those…they taste like childhood”. 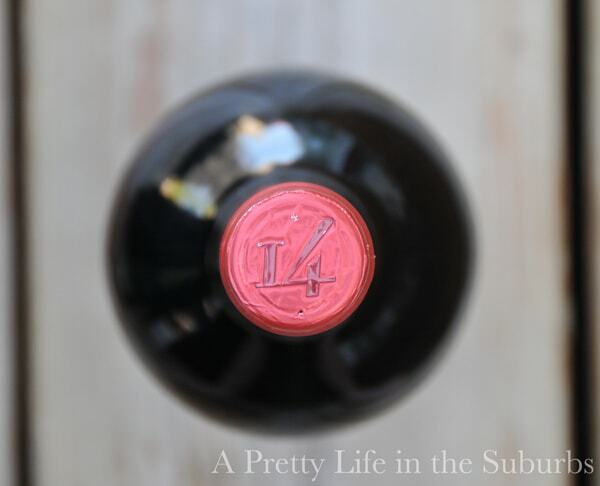 Those words are music to my ears…seriously the best. I love that my kids already have fond childhood kitchen memories and they’re still kids. But she’s totally right…these do taste like childhood. And I’m sure many of you have had a version of these peanut butter squares before too. 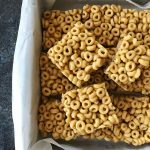 I really like this particular recipe because of the fact that it’s a no-bake recipe. 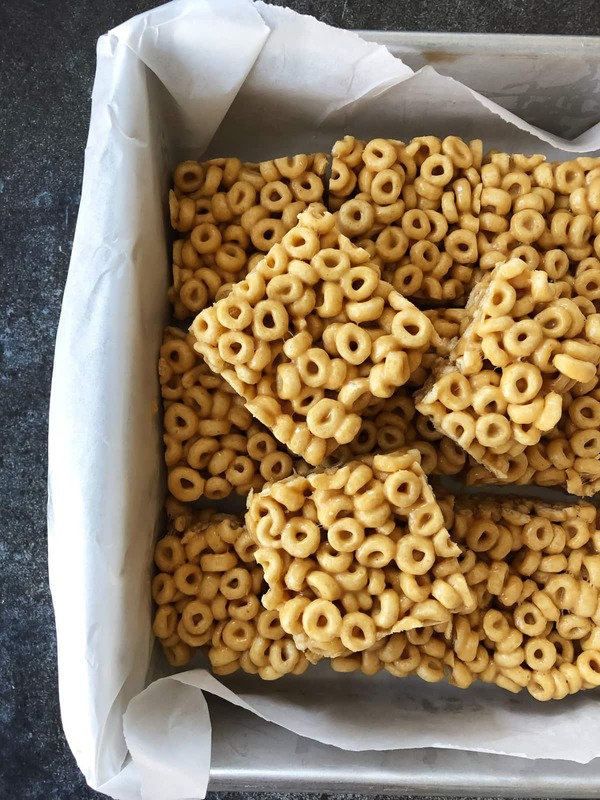 But also because you only need 4 simple ingredients to make them…butter, peanut butter, marshmallows and cheerios. It doesn’t get much easier than that. 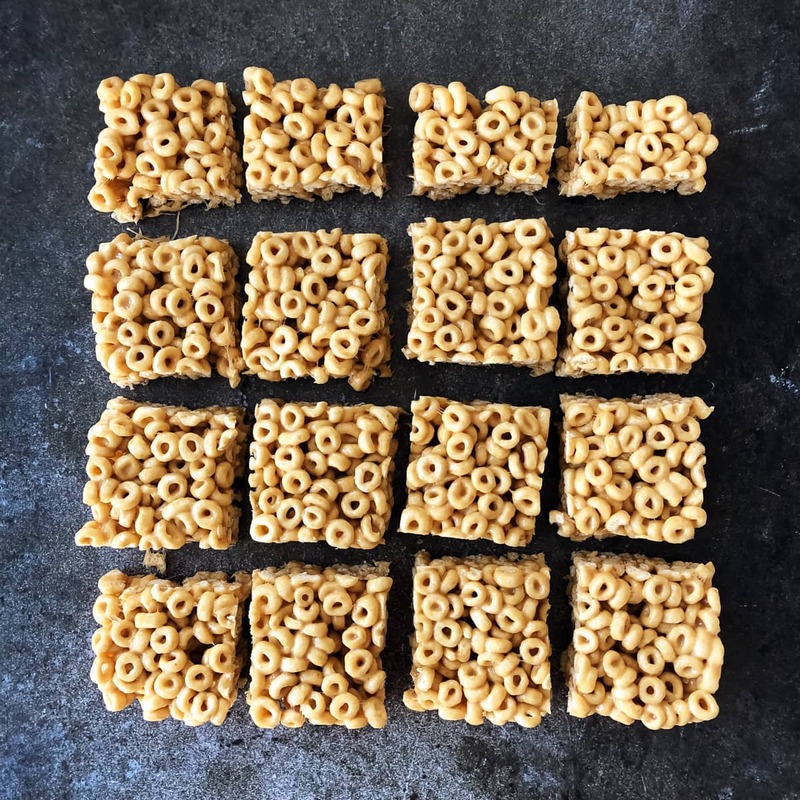 You can also make these squares extra fun by adding ingredients like chopped salted peanuts or chocolate chips. Delicious. 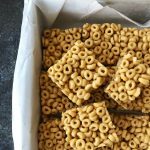 So the next time you’re looking for a treat for the kids and you need something simple and quick to make, these No-Bake Peanut Butter Cheerio Squares are perfect. 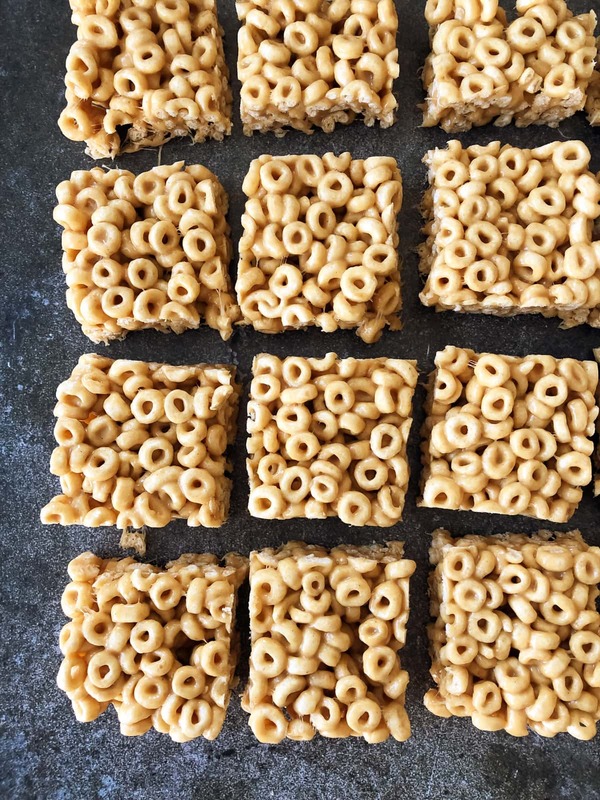 Prepare an 8×8 pan by greasing it lightly with butter. Set aside. 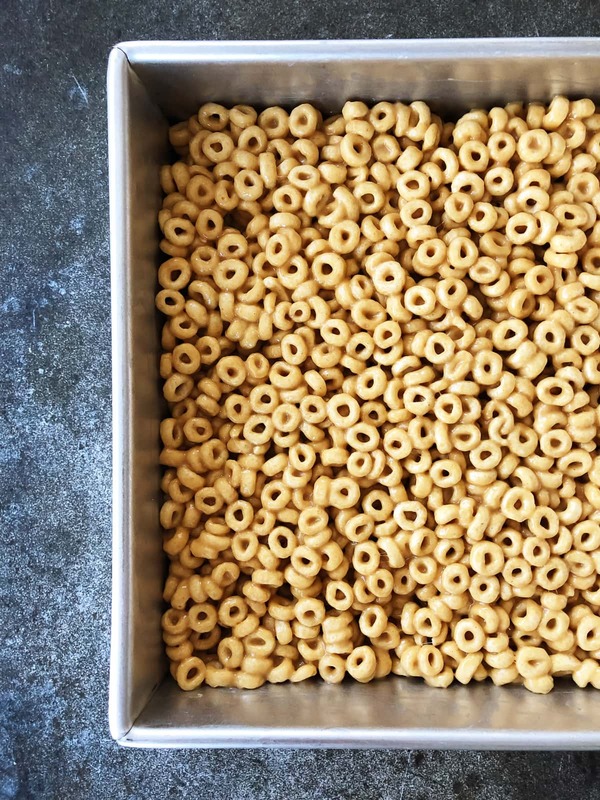 In a bowl measure out 4 cups of cheerios. Set aside. In a saucepan over low/medium heat, melt the butter, peanut butter and mini marshmallows together. Stir continuously. 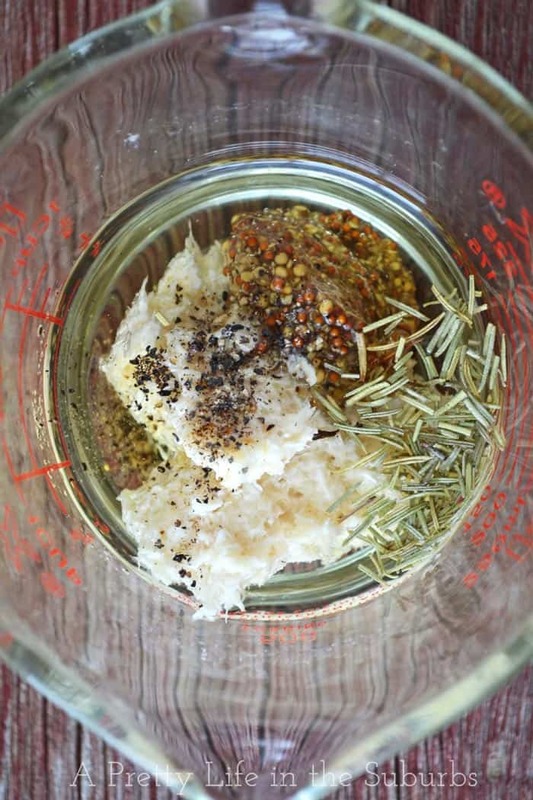 You only want to melt the mixture, not cook or boil it. 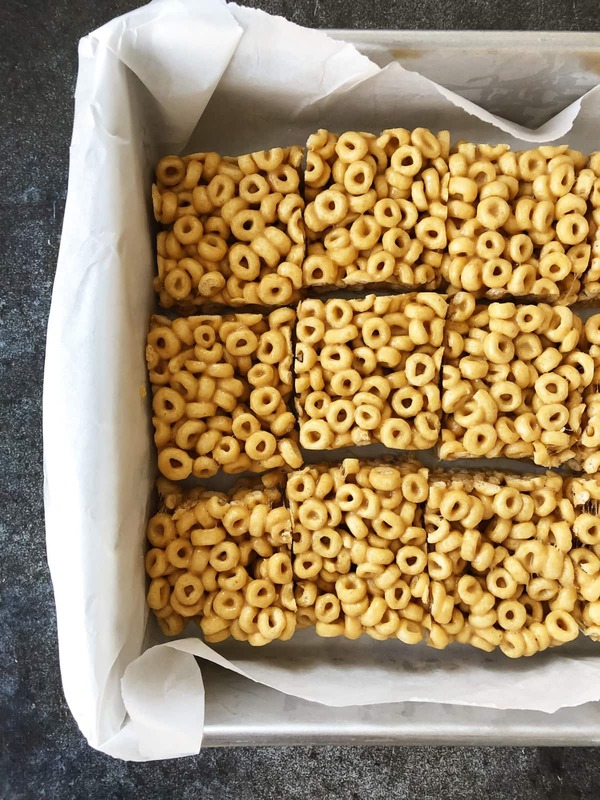 Once everything has melted, pour the peanut butter mixture over the cheerios and mix well. Press the mixture into a greased 8 x 8 inch pan. Let cool at least 30 minutes before cutting.